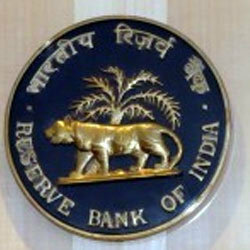 The Reserve Bank of India cut its benchmark interest rate by 25 basis points. The RBI maintained its neutral policy stance, which enables it to move either way on the key rates. Repo rate is the key interest rate at which the RBI lends short-term funds to commercial banks. More than 85 per cent of the nearly 70 economists polled by news agency Reuters had expected the central bank to cut the benchmark lending rate by 25 basis points to 6.00 per cent today. Four out of the six members of the Monetary Policy Committee voted in favour of a 25 basis points cut in repo rate, while the other two voted to keep rate unchanged. The central bank projected GDP growth at 7.2 per cent for financial year 2019-20, according to its first policy statement of financial year 2019-20 The RBI said it expects economic growth to be in the range of 6.8-7.1 per cent in the first half of the current financial year, and in the range of 7.3-7.4 per cent in the second half with "risks evenly balanced". Inflation is likely to remain benign in the short term, it noted. Assuming a normal monsoon in 2019, the RBI lowered its CPI inflation projection to 2.4 per cent in the fourth quarter of 2018-19. For the first half of the current financial year, which began on April 1, the central bank expects inflation at 2.9-3.0 per cent, and 3.5-3.8 per cent in the second half.